The critical evaluation of a combat situation, based on knowledge of your own capabilities at defensive shooting, may mean the difference between life and death to anyone. Statisticians say that at least once in twenty years of police service, an officer will be required to defend himself with his handgun. Surrender, particularly to a psycho, may mean death; refusal to surrender may also mean death. 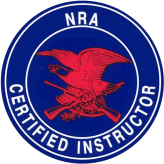 The confidence that exists when you know that you can handle your handgun and yourself, assist you when the chips are down and your decision-making apparatus must function at high level of performance if you are to survive. 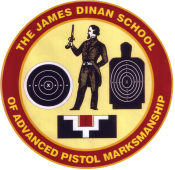 The training and competition Shoots, including combat shoot I II and III at the Islip Town Range by the James Dinan School of East Islip, Suffolk County NY, can demonstrate and teach you to function at this High level of performance.